Most of the Writers of Review Websites Lack Technical Knowledge Enough to Judge Whether the End Price is Cost Effective to the Buyer. Here is an In-Depth Samsung Galaxy J7 Max Review Judging the Chipset, Display and Other Hardware Which Other Websites Usually Never Talk About. In our one recently published article on Latest Smartphone GPU Technologies, we pointed that – in order to have everything decent and up to mark, one need to shell out $800 to $1000 for a smartphone. From Samsung provided spcifications, Galaxy J7 Max is not suitable for latest graphics intense gaming. This mobile is intended for casual browsing, using the GPS, phone calls & texts. Technologies rapidly improving and it is impractical to expect something more at this price from a non-China company. Apart from Samsung, among our known international popular brands, Sony Xperia XA1 uses the same SoC and costs similar like that of Samsung Galaxy J7 Max. It has a 5.7-inch IPS 2.5d curved glass display with pixel resolution of 1920×1080, pixel density around 386 PPI. The display is not AMOLED panel like the J7 Pro and Samsung not disclosed whether the display is protected by any other hardened glass (like Gorilla Glass). Sony Xperia XA1 is direct competitor of Samsung Galaxy J7 which same chipset, at same price which commonly review websites do not talk about. Sony Xperia XA1 in comparison to Samsung Galaxy J7 Max, has 3GB RAM, Active noise cancellation, 5 inch display, battery with less capacity. We have not used any variant of Sony Xperia XA1 but from user reviews and Sony’s reputation it appears that Sony Xperia XA1 is a “balanced version” of Samsung Galaxy J7 Max. We expect better quality sound from Sony Xperia XA1 than Samsung Galaxy J7 Max. Samsung practically somehow pushed as much stuffs possible within that end price resulting in slightly larger display than that of Sony, to manage it slight more RAM, to attract 13 MP camera. Both Sony Xperia XA1 than Samsung Galaxy J7 Max runs Android 7.0 Nougat and will get official upgrade to Android 8.x in near future. You’ll try to say why we are not saying about Moto G5 Plus? That uses Snapdragon 625 SoC with Adreno 506 GPU. The “engine” inside is different than Samsung Galaxy J7 Max. You can not compare a diesel car with a petrol car, end cost may be same. Snapdragon 625 SoC actually performs better. A decade back, Nokia’s N Series mobiles closer to this price like Nokia N73 ME were matured, premium products. Our Nokia N73 ME still running like a couple of years old phone. Of course Nokia N73 ME is slower, but the camera has slider to protect the lens and dedicated mechanical shutter key. Keep in mind – price of Nokia’s devices used to fall after the technology became slightly older. The end price of Nokia N73 ME is comparable with today’s price of Samsung Galaxy J7 Max considering a decade gap between these two models. 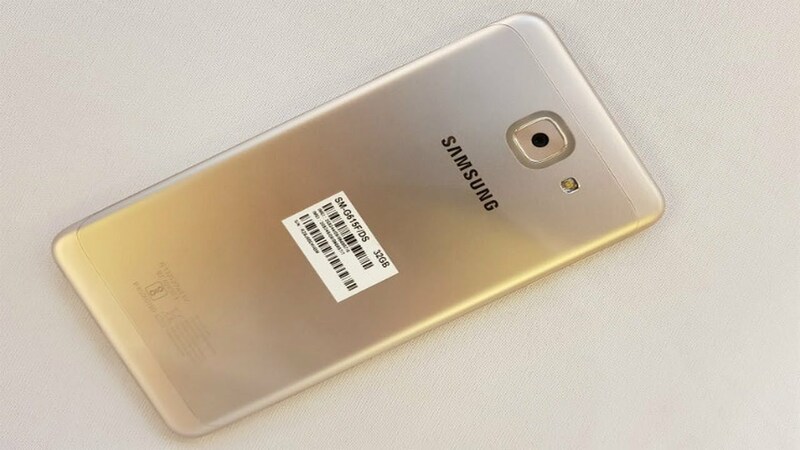 Speaker of Samsung Galaxy J7 Max is a somehow made square hole on left hand side of the device, above power key. Of course comparing Samsung’s quality with N Series is moronic idea, but even 5 years back ZTE V9A Tab (which was Reliance 3G Tab for us) had excellent stereo speakers for playback. Samsung forgot to install their own stock Samsung music player software. Of course, Samsung ships lot of bloatware with the phone which possibly makes it feeling like a 2GB RAM device, Samsung saved money by not adding even a micro SD card! You have not many options at that price range and price. Yes, the reception quality is good and the call sound quality of very good. Of course the camera does the job for taking some quick “macro” of things for your professional blog. We found WiFi connectivity to be good. The fingerprint sensor at home button is of good work. Samsung nicely integrated with application, browser logins so, with minimal tweak of settings, the device saves time. Samsung Galaxy J7 Max actually support stylus. You can actually use it like a basic graphics tablet. It is really good for day to day works. It does the job of what a regular modern mobile phone supposed to do. Instead of purchasing a good bar mobile phone with physical keypad, buying it is a practical idea because simply it has GPS, magnetometer, speedometer and other sensors. Of course if Samsung worked slightly more (or kept the margin of profit lower) it would get 5 star rating from most of the users. Basically it is built on budget hardware and Samsung poured the great UI from their high end smartphones. Samsung service centers usually present in popular district towns of most states. After sales service unexpected to be pathetic. This Article Has Been Shared 2880 Times! Slow GPU affects a smartphone’s performance. Have some idea around the latest smartphone GPU technologies, particularly if you are going to purchase a new smartphone. Configuring Windows 7 as Web Server with a Static IP is the most important and easy way to allow any Windows Program to use access your web folder by World. We Are Reaching an Age Where Computing is Defined by Software. Cloud Computing, Free Software Foundation, Mobile Computing all has positive contribution to it. Akamai is the leading cloud platform provider that allows owners to provide users with a safe, high-performance static and streaming content all over the world. Cite this article as: Abhishek Ghosh, "Samsung Galaxy J7 Max Review," in The Customize Windows, January 25, 2018, April 25, 2019, https://thecustomizewindows.com/2018/01/samsung-galaxy-j7-max-review/.